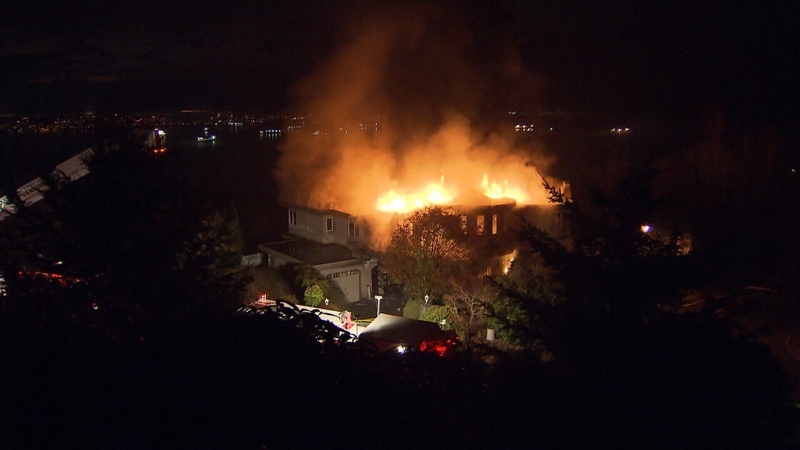 A massive blaze has destroyed a $2.5-million mansion in West Vancouver, and neighbours say it’s the third fire to hit the unlucky home. Firefighters arrived to find the home fully engulfed by flames at around 1:30 a.m. Friday morning in the 2600-block of Chelsea Court. Crews went into a defensive attack and battled the fire into the late morning – but the house, which was vacant and undergoing renovations when the blaze broke out, was left in shambles. 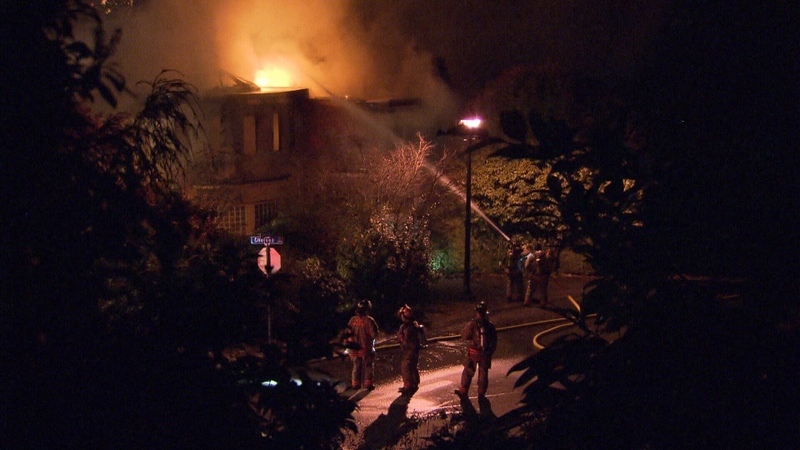 Neighbours told CTV News the house had been undergoing renovations because of another fire that left it heavily damaged. 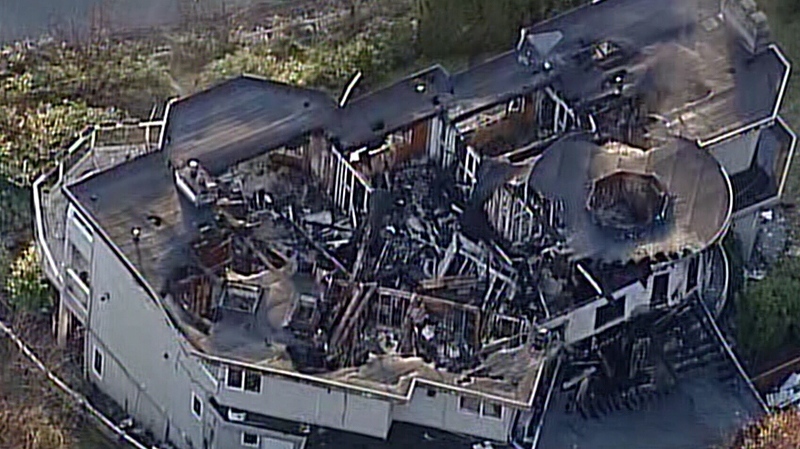 Police were canvassing the neighbourhood Friday to ask neighbours if they saw anything before or after the fire broke out. The cause of the blaze is still under investigation, and it will likely be days before officials are able to determine the cause. Investigators have not confirmed whether they believe the fire was suspicious. Anyone with information is asked to call West Vancouver police at 604-925-7300.